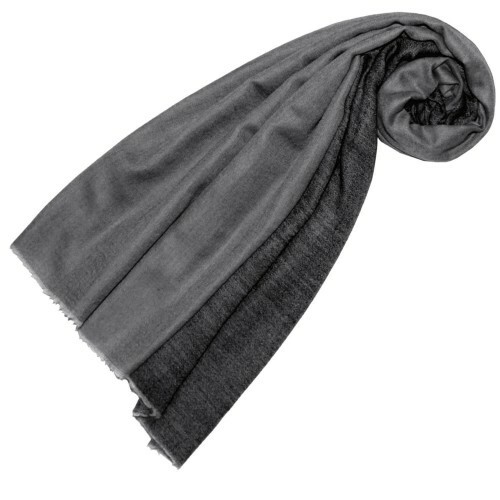 This unique extra soft double face scarf for ladies made of cashmere fits perfectly with your summer and winter clothing. Its extravagance consists of its unsurpassable quality and clearly defined color scheme. 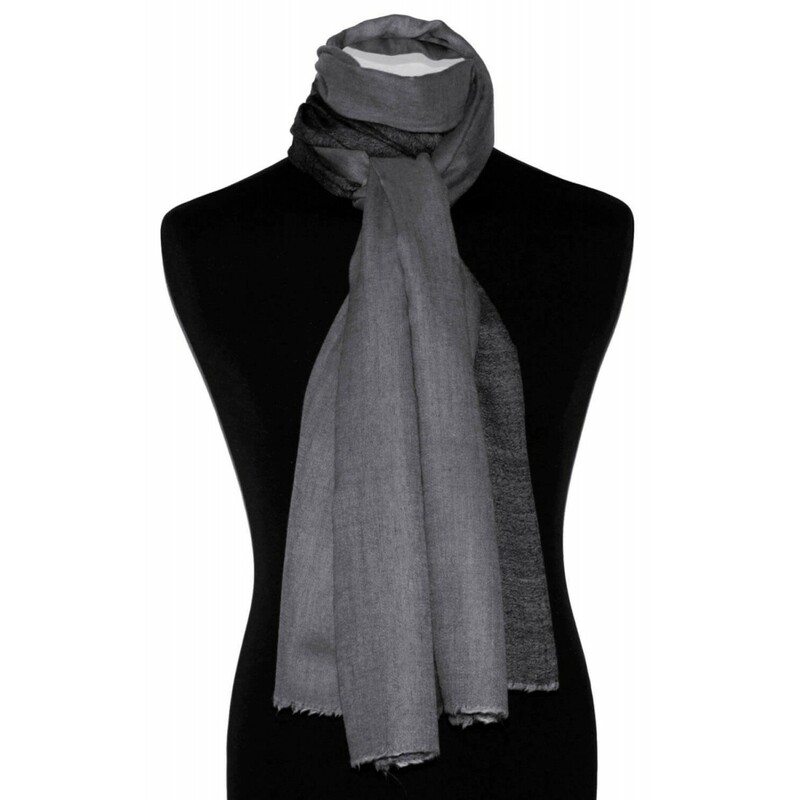 The extremely sensual and soft cashmere scarf will enhance and complement your wardrobe perfectly. Smooth and flowing, the exclusive LORENZO CANA women's scarves and shawls made of 100% cashmere in harmoniously coordinated, bright colors. 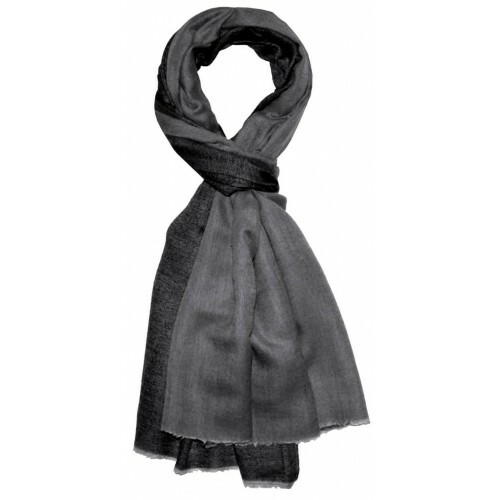 Buy this high quality ladies scarf in charming light and dark gray online at LORENZO CANA. Our pashminas are a feast for all the senses. 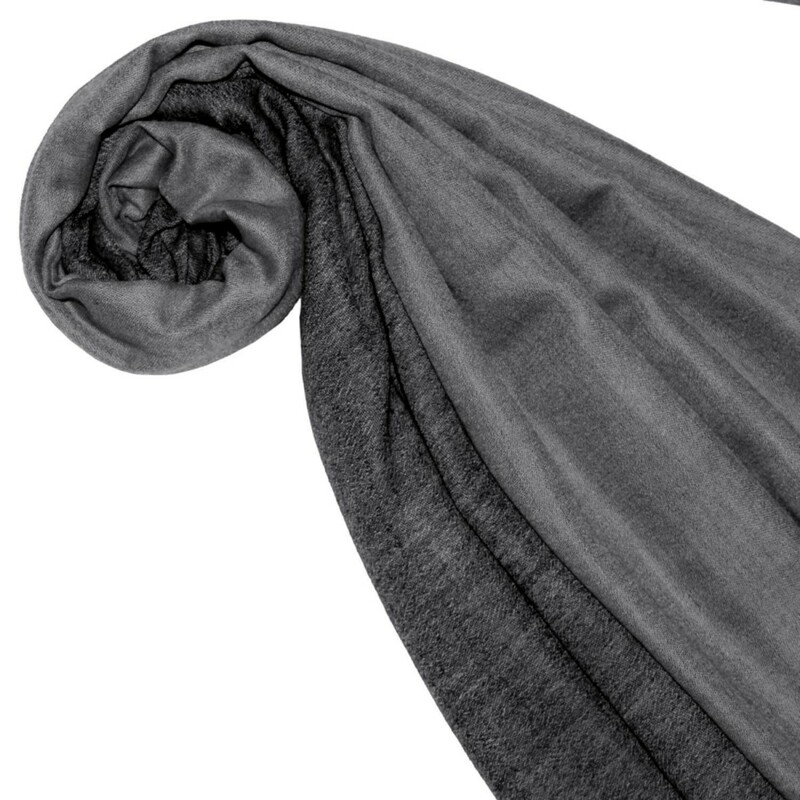 The sumptuous and unique two-sided cashmere scarves are elaborately made by hand. Each scarf is unique, small deviations from the pattern are therefore possible and emphasize the uniqueness of this product. This cashmere scarf looks particularly charming in the so-called waterfall and retro binding techniques. The precious cashmere wool for our fine cashmere scarves comes from a small family business in Nepal and is combed out of the peritoneum of the cashmere goats instead of being shorn as usual. The so-called, buttery cashmere wool is spun into the finest yarn and then processed into our beautiful cashmere scarves in Germany. The scarf is extremely light, incredibly soft, warms excellent and is also well tolerated by sensitive skin.